The combination of availability and munition capability makes the armament of commercial drones a significant civilian and military concern. Motivated by the threat of terrorist drones, the House recently approved the “ Preventing Emerging Threats Act of 2018 ” and the Senate is expected to follow suit. The bill allows Homeland Security and the Justice Department to detect, track, and even destroy an unmanned aircraft. This law comes on the heels of the drone-based assassination attempt against Venezuelan President Nicolas Maduro. By refashioning a surveillance drone to include munition capability, this attack highlights the ability of state and non-state actors to repurpose commercial drones into a DIY armed drone. As a result, security forces both inside and outside of the military must be prepared for this reality. The old distinction between armed and reconnaissance drones is rapidly diminishing; while it used to be that only large, military-specific drones were armed, smaller commercial and hobbyist drones are increasingly capable of carrying munition. As the Venezuela incident demonstrates, hobbyist, commercial UAVs are readily available and demonstrably capable of conducting limited attacks, not just on the battlefields of Iraq and Syria, but in a public assassination attempts. The technology is dual-use, so it has commercial and civilian applications in addition to military ones. Gradually, organizations outside of the military are purchasing traditionally commercial UAVs for various purposes including law enforcement and disaster relief. With the increased demand, private sector companies are incentivized to improve the technology’s capabilities to expand their markets and profits. It's no secret that computers are insecure. Stories like the recent Facebook hack, the Equifax hackand the hacking of government agencies are remarkable for how unremarkable they really are. They might make headlines for a few days, but they're just the newsworthy tip of a very large iceberg. The primary reason computers are insecure is that most buyers aren't willing to pay -- in money, features, or time to market -- for security to be built into the products and services they want. As a result, we are stuck with hackable internet protocols, computers that are riddled with vulnerabilities and networks that are easily penetrated. We have accepted this tenuous situation because, for a very long time, computer security has mostly been about data. Banking data stored by financial institutions might be important, but nobody dies when it's stolen. Facebook account data might be important, but again, nobody dies when it's stolen. Regardless of how bad these hacks are, it has historically been cheaper to accept the results than to fix the problems. But the nature of how we use computers is changing, and that comes with greater security risks. One of the biggest failures of the present Government has been its ignorance of the importance of post-Independence history. Four years after it was elected to bring about some transparency, hardly anything has changed in this field. Take for example the VK Krishna Menon Papers, held at the Nehru Memorial Museum & Library (NMML); they are still kept under wraps and remain inaccessible to researchers and scholars. The situation is so ridiculous that when the Selected Works of Jawaharlal Nehru published a large corpus of historical documents (more than 300 pages) related to Zhou Enlai’s visit in India in April 1960, the crucial meetings with Menon were unavailable. Why should the fact that Menon often humiliated competent Armed Forces’ officers, in some cases with the backing of the Prime Minister, be kept secret? In many ways, Menon with his well-known arrogance and brashness was responsible for the debacle against China in 1962, but nothing has been done to unearth the ‘truth’. 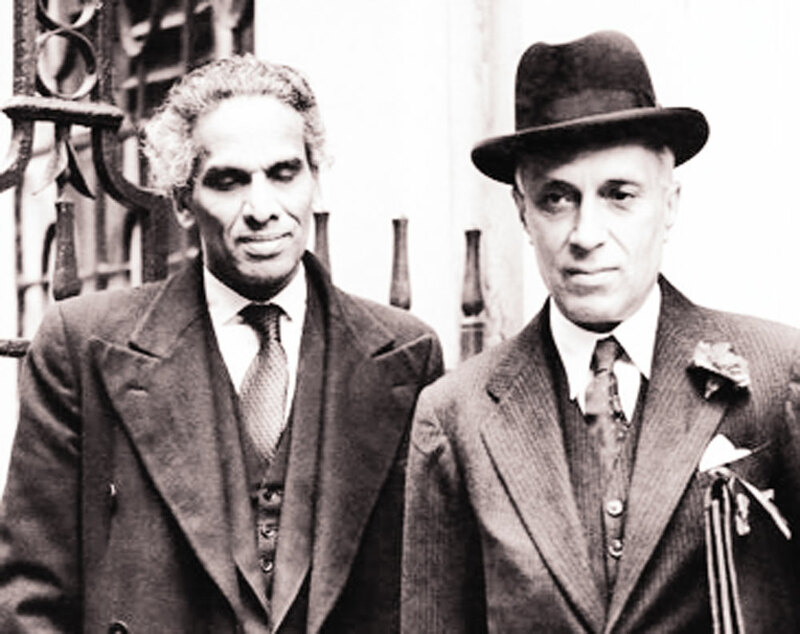 Why has the Government not bothered to open the Krishna Menon Papers? The reality is that very few politicians or bureaucrats are interested in modern history (it has sadly been true for all Governments since Independence); the distant past of the Mahabharata is perhaps too attractive. Find out more – when you subscribeto World Politics Review (WPR). But in making investments abroad, China’s record is far from perfect. China stands to reap handsome rewards, helping many "One Belt, One Road" countries develop in the process. But unless Beijing reconsiders its approach in light of past missteps, it could set itself up for more failed investments and future diplomatic troubles. With women slowly trickling into Marine Corps combat arms positions, Commandant Gen. Robert Neller has a simple message on the matter: Just do your damn job. There are just 27 female Marines serving in infantry military occupational specialties, a spokeswoman for the Corps’ Manpower and Reserve Affairs confirmed to Task & Purpose on Friday. The breakdown is one officer, and 26 enlisted Marines. When asked about the relatively slow pace of integration compared to the Army (where, Marine Corps Times notes, nearly 800 women are serving in previously-closed combat arms jobs compared to the Corps), Neller was unsurprised. Neller’s comment came weeks after Secretary of Defense Mattis toldreporters that the “jury was out” on the effectiveness of female infantry. For the first time in history, Afghanistan's neighbors have joint interests in seeing the country become stable. As violence from Taliban attacks in Afghanistan remains unabated, and the hoped for ceasefire during Eid al-Adha did not materialize, it is worth reflecting on how ripe the conditions are for peace are in Afghanistan and how a rare geopolitical window of opportunity has opened up for the more powerful countries that regularly intervene in Afghanistan. The Taliban came close to agreeing to another ceasefire, deciding against doing so only to attempt to demonstrate that the stepped-up bombing campaign of the United States and its NATO allies was not forcing the terrorist group to the negotiating table. There had been ample expectation on both sides that they could agree upon a brief truce that offered the prospect of prisoner releases and possibly more. After all, an unprecedented breakthrough ceasefire occurred as recently as the end of Ramadan in June. In a series of dramatic moves and scenes, rank and file Taliban fighters across the country entered Afghan cities and appeared to engage in spontaneous gestures of peace and national camaraderie. Taliban fighters were filmed kibitzing with Afghan soldiers, eating candy and ice cream in public squares, and even taking selfies with those they had previously tormented, including women—not only in Kabul, but up and down the country. These scenes took nearly everyone by surprise. They helped to create a fresh understanding that after nearly two decades of a civil war/insurgency the Taliban, the government, and the Afghan people are apparently poised to adopt some form of peace—if to varying degrees. Skeptics remain, however, for this year also happens to constitute the bloodiest year since the 2001 initiation of the conflict when measured in terms of civilian deaths. 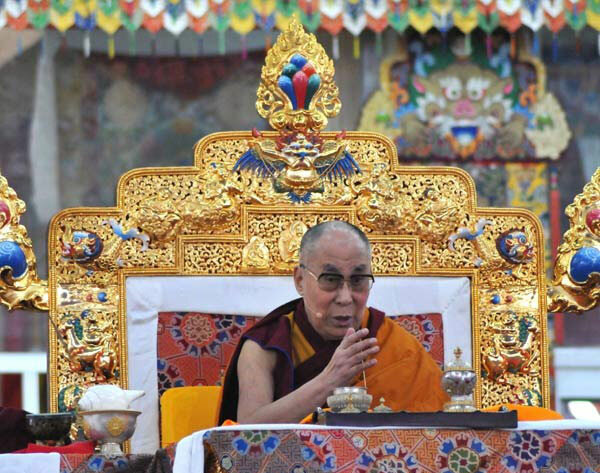 Recently, an article titled 'The Dalai Lama has chosen his successor' appeared on an Indian Web site. U.S. will suffer more from the current trade war with China, warned Alibaba founder Jack Ma addressing over 1000 business leaders, government officials and economic experts from Malaysia and across the region attending the China Conference here on October 10-11. He added that America has been growing and unemployment has been on the decline, even with the deficit in the trade balance with China. President Donald Trump has repeatedly cited the huge trade deficit with China as the reason for putting up tariff walls against Chinese goods. Ma warned that such trade wars could cause problems for anyone who trades with China or the U.S.
“This trade war is going to be long (and) solution will come from technology,” warned Ma, who spoke via a teleconferencing link from overseas. “We need to work together to solve problems,” he added. Seeking to inject new energy into the long-stalled Afghan peace process, the top American diplomat charged with helping find a way to end the war has met with Taliban representatives in Doha, Qatar, officials and a Taliban source said on Saturday. The Friday meeting between the American diplomat, Zalmay Khalilzad, and the Taliban was the second time that senior American officials have met with Taliban representatives in Qatar since the White House ordered direct talks this summer in the hopes of jump-starting the peace process. On Saturday, Mr. Khalilzad flew to Kabul to meet with the Afghan president, Ashraf Ghani. Americans need to insist that they have choices for how to manage geopolitical power struggles apart from the status quo reflexive military defense. The current atmosphere in U.S.-China relations recalls the early years of America’s long confrontation with the Soviet Union—and not only because the phrase “cold war” is increasingly used with abandon. Then, as now, a conciliatory Washington, DC consensus was breaking apart in the face of apparent Eurasian treachery. Then, as now, U.S. government policies and pronouncements began to reflect and respond to the requirements of confrontation, rather than cooperation. And yet, as a newly adversarial poise crystallizes in the bipartisan collective consciousness of the Beltway, it is worth highlighting a crucial difference: back then, Americans had a clearer choice. Between the end of World War II in 1945 and the start of the Korean War in 1950, America retained an institutional bias against interventionism. The Truman Doctrine, George Kennan’s “X Article,” Winston Churchill’s “Iron Curtain” speech in Fulton, Missouri, and Secretary of State George Marshall’s Harvard University speech outlining the European Recovery Program were rhetorical volleys designed to provoke nationwide debate and spur a traditionally insular political system to assume long-term international responsibilities. Concurrently, prominent political figures voiced skepticism of foreign entanglements. On the left Henry Wallace, FDR’s second vice president and Harry Truman’s first commerce secretary, publicly broke with the White House over its confrontational policies toward the USSR. On the right Senator Robert Taft of Ohio nearly won the 1952 Republican presidential nomination on a platform of non-interventionism and opposition to NATO. With November 4, 2018, the date for re-imposition of U.S. sanctions against Iran drawing closer, uncertainty about how much of global oil supply will be affected is running high. Mixed signals are coming from some of Iran’s biggest oil customers. Analysts fear that uncertainty is likely to linger on even after the sanctions become effective. There is a need to understand the motive behind the US decision. There is growing consensus that the US decision is based on achieving three key objectives: 1) weakening Iran economically to stop it from becoming a regional power. Both the US and Israel have learnt that an economically strong Iran is the biggest hurdle in maintaining their hegemony in the region, 2) by creating rift between Saudi Arabia and Iran, the US also succeed in selling more arms to Saudi Arabia, which has been brainwashed to an extent where the monarch considers Iran a bigger threat as compared to Israel and 3) the biggest beneficiary of high oil price is the US that has attained the status of largest oil producing country. According to energy sector analysts, if crude price plunge below US$50/barrel most of the US shale companies will go bankrupt. It is on record that in the past when crude price touched US$147/barrel the number of active rigs rose to around 1,600. When the price plunged to less than US$40/barrel the number of active rigs declined to less than 600. One of the objectives of western media is to keep the level of uncertainty high by promoting geopolitical crises. By keeping level of uncertainty high, speculators are facilitated and one thing has been proved without any doubt that even the hawkish statements of the US present keeps oil prices volatile. Original title: "Why Is the Middle East Studies Association Trying to Stop the Online Publication of Islamic State Documents?" Why would the Middle East Studies Association (MESA), the primary umbrella organization for the field of Middle East studies, oppose the New York Times partnering with George Washington University (GWU)’s Program On Extremism to produce a public archive of the thousands of Islamic State (ISIS) documents the newspaper retrieved from northern Iraq? Analysis based on solid evidence, after all, is far superior to speculation and guesswork that may be proven erroneous. While there are many media articles about ISIS and propaganda material from the group itself, there is a deficiency of internal documents in the open-source realm for researchers to use in order to understand the inner workings of ISIS’s state project during the peak of its power. Introduction: Michèle Coninsx was appointed Assistant Secretary-General and Executive Director of the Counter-Terrorism Committee Executive Directorate (CTED) by United Nations Secretary-General António Guterres on August 11, 2017. Ms. Coninsx took up her functions on November 2, 2017. Prior to her position at the United Nations, Ms. Coninsx was President of Eurojust—the European Union agency tasked with dealing with judicial cooperation in criminal matters—2012-2017, after having served as its vice president for five years. In addition, Ms. Coninsx was National Member for Belgium at Eurojust and Chair of Eurojust’s Counter-Terrorism Team. Before joining Eurojust, Ms. Coninsx was a Federal Prosecutor (Magistrat Fédéral) in Belgium dealing with terrorism and organized crime. She served for nine years as an expert in aviation security for the International Civil Aviation Organization (ICAO). Secretary of Homeland Security Kirstjen Nielsen told senators at an Oct. 10 hearing that globally pervasive internet connectivity not only makes the U.S. and its allies more susceptible to cyberattacks, it also makes it easier for terrorist organizations and transnational criminal groups to coordinate and recruit new followers, while leaving the country more susceptible to foreign influence operations online. 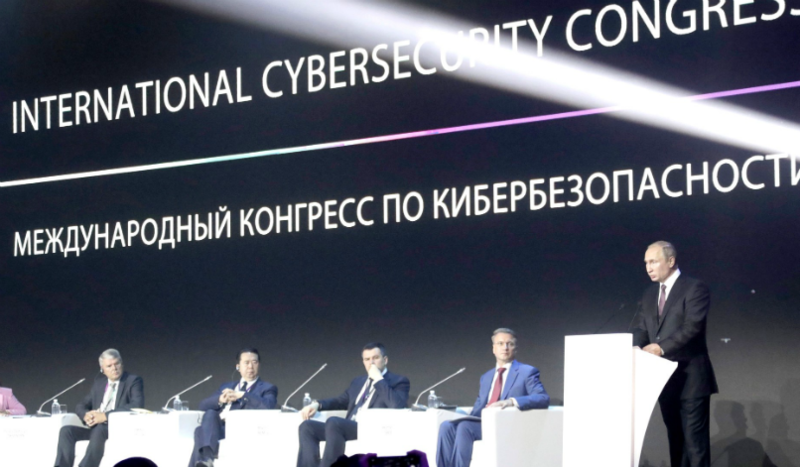 Nielsen also said that threats from nation-state adversaries like China, Russia, Iran and North Korea are at the highest levels since the Cold War, largely but not exclusively due to leveraging cyber to conduct espionage and influence operations and disrupt services. Christopher Wray, director of the FBI, agreed, telling the committee in his opening statement that "virtually every national security and criminal threat the bureau faces is cyber-based or technologically facilitated." Members of the Senate Homeland Security and Government Affairs Committee pressed Nielsen to square President Donald Trump's comments that China is seeking to interfere in the upcoming midterm elections with her statement last week that her agency has seen no indication that any foreign power is actively working to disrupt election infrastructure.